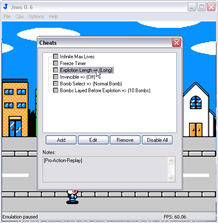 The cheat file database is done in such a way that you can tell the difference between Game Genie and Pro Action Replay Codes. The reason for this is very simple and will be useful for you to know this information. 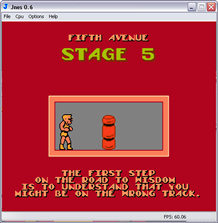 The Game Genie Cheat Codes are encrypted and have to be loaded into the game for the code to take effect as they Modify the ROM not the memory. 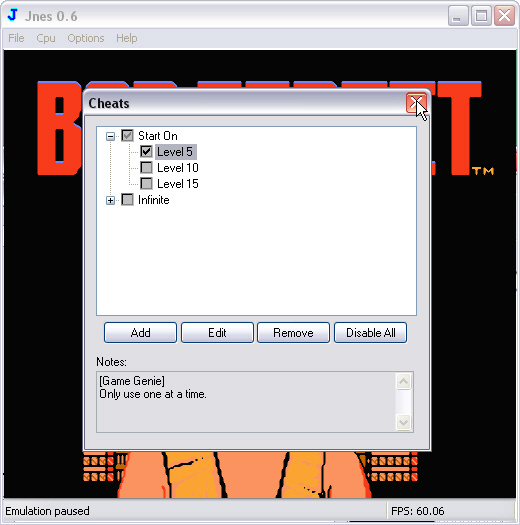 So when you see [Game Genie] in the Cheat Dialog Note section, you know that means its a Game Genie Code that needs to be enabled either before the game is loaded or the game reset (F1) after it is enabled. The Pro Action Replay Cheat Codes are in Hex which allow the codes to take effect immediately as they modify the Memory not the ROM, so they don't need to be injected into the game before the game is loaded or reset like the Game Genie Codes do. 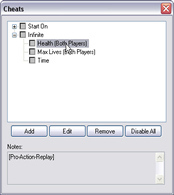 So when you see So when you see [Pro-Action-Replay] in the Cheat Dialog Note section, you know that means its a Pro Action Replay Code can just be enabled and used right away, not like the Game Genie that has to be enabled either before the game is loaded or the game reset (F1) after it is enabled. Tree Grouping allows you to group many cheats together and can be used on GG and PAR Cheats like Infinite, Max, Start On, Have or Have All , Player 1 and Player 2 Cheats. You can tell a Tree Group Code by the + symbol on the Left hand side of the Cheat Name check box in the Cheat Dialog Menu. Just click on the + symbol left of the Cheats check box and the Tree Grouping will then open showing you all the different options inside. You can enable and disable cheats in Tree Groups by either double clicking on the cheats name or single clicking on the cheats name check box. Another option is to just click on the Main Cheat Tree Group + symbol to enable all within but be careful! There may be notes stating to use only one code at a time within the group. There can be multiple Tree Groupings within the main Group (Sub Tree Groupings if you like) allowing a neater and better managed cheat dialog that is clutter free. You will often find PAR Extensions inside the Tree Groupings also but we will address those later on down. To close the Tree Groupings just click back on the top + Symbol on left hand side of the cheats name check box and it will retract to the original main position. 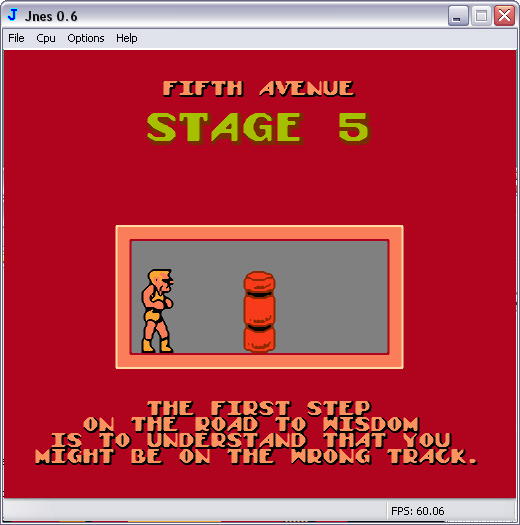 If you want to use a code that is a Game Genie Code there are two ways of doing this for the effect to take place in your game. 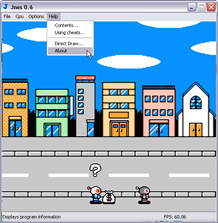 Option 1: Left Mouse click on the game you want to load and Right Mouse click on the games name to open the context menu and select Cheats. 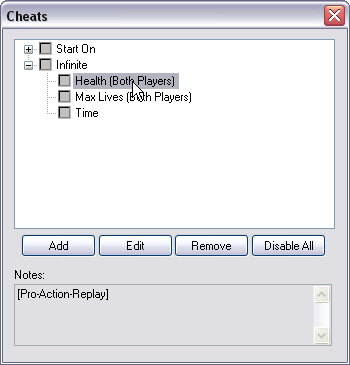 The Cheats Menu will now be open where you can double Left Mouse click or Left Mouse click the left hand side cheat box on the Cheat or Cheats names you wish to have on to enable it or them. Make sure you read the notes because more then likely you will be told to only use one of the cheat option at a time and this can be seen in the bottom Notes section. 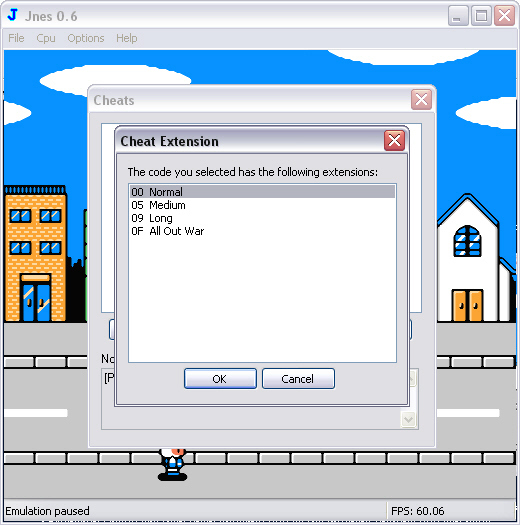 Once you have all your codes enabled just close the Cheat menu by clicking on the Windows close button. 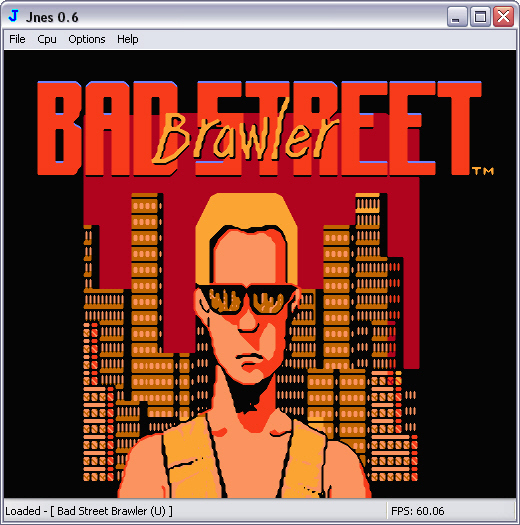 Double Left Mouse click on the games name to load it and you will see the cheat has injected into the ROM and has the correct effect. 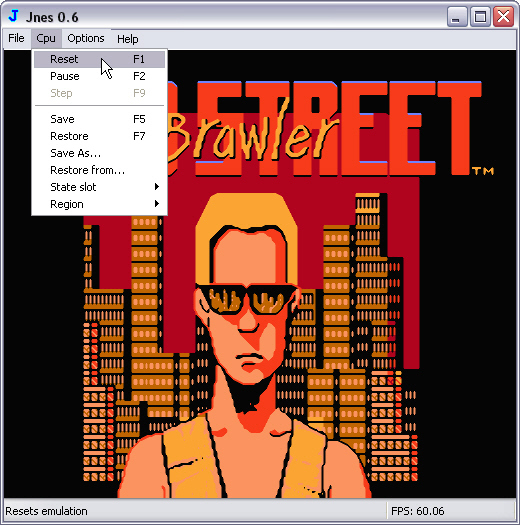 Option 2: Double Left Mouse click on the games name to load it and then go to Options then Cheating or just hold down Ctrl and press C on your Keyboard. 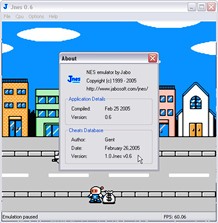 Left Mouse click on the Cpu Menu or Just press the F1 button on your Keyboard to reset Jnes and you will see that the cheat has injected into the ROM and has the correct effect. 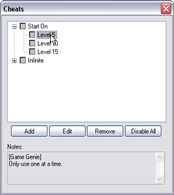 To disable a [Game Genie] Code just do the same as above as if enabling it by double Left Mouse clicking or Left Mouse clicking the left hand side . 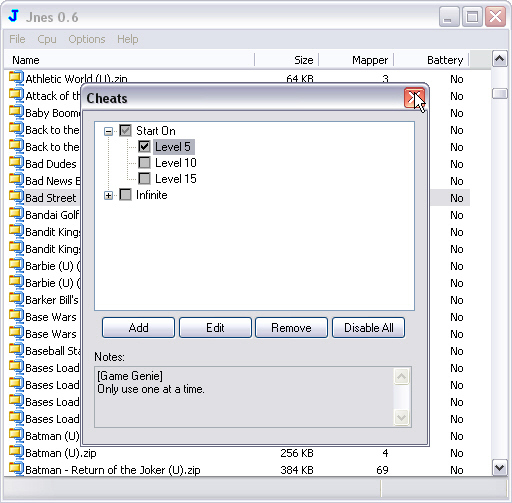 have have to close the game to take the cheat out of the Memory as just disabling the cheat will not be enough! 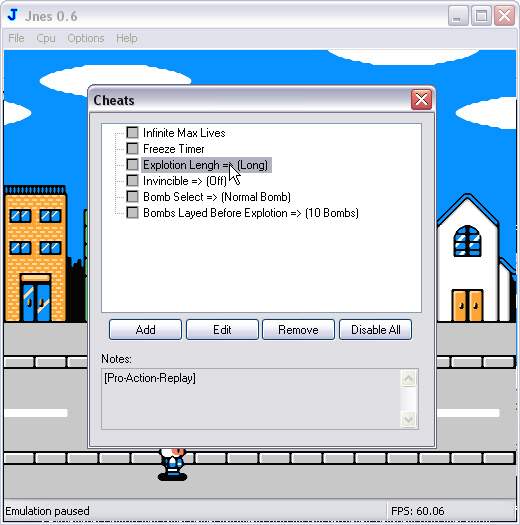 unless you close and re-open the game the cheat will still be active as its injected into the ROM not the Memory. If you want to use Pro Action Replay Codes then you don't have to mess about like you would a Game Genie Code. But again, there are two ways of enabling PAR Cheats. 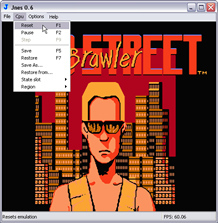 Double Left Mouse click on the games name to load it and start playing your game where you can enable or disable PAR cheats as you play with instant effect. 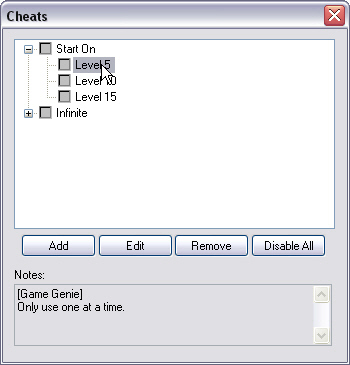 The Cheats Menu will now be open where you can double Left Mouse click or Left Mouse click the left hand side cheat box on the Cheat or Cheats names you wish to have on to enable it or them. Make sure you read the notes because if they have a note there is a very good reason for it. Once you have all your codes enabled just close the Cheat menu by clicking on the Windows close button to go back to the game. 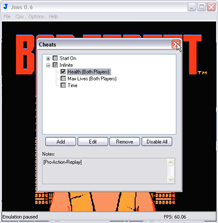 Extensions or Modifier Codes let you change a cheat codes value by a list of options. 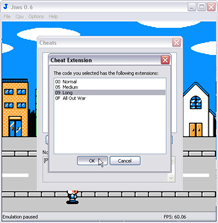 You can tell an Extension or Modifier Code by the => symbol on the Cheat Dialog Menu. To make a selection just double click on the cheat name with the => symbol and the Cheat Extension Dialog will then open showing you all the different options you can have. Click on the Cheat Extension name you would prefer like the above image shows and then click the Ok button to return to the Main Cheats Dialog and the Extensions Check Box will already be checked with a tick showing your option now enabled. To disable a [Pro-Action-Replay] Code just do the same as above as if enabling it by double Left Mouse clicking or Left Mouse clicking the left hand side cheat box on the Cheat or Cheats name disable it. 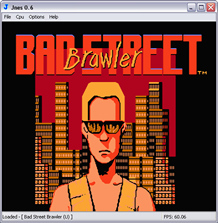 have have to close the game to take the cheat out of the Memory as just disabling the cheat will not be enough! 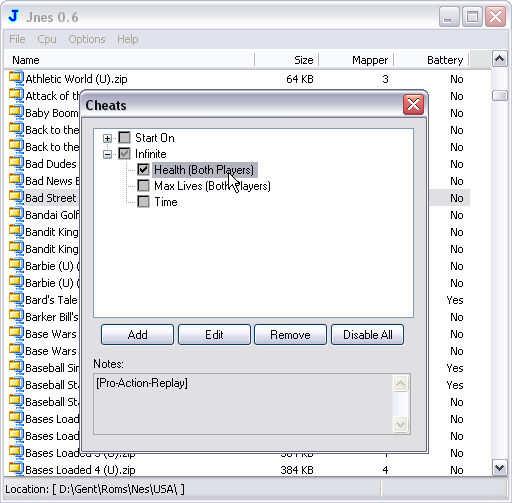 unless you close and re-open the game the cheat will still be active as its injected into the ROM not the Memory. 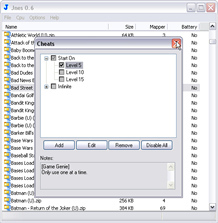 To find out what version your cheat file is, you can go to the About section in the Help Menu. 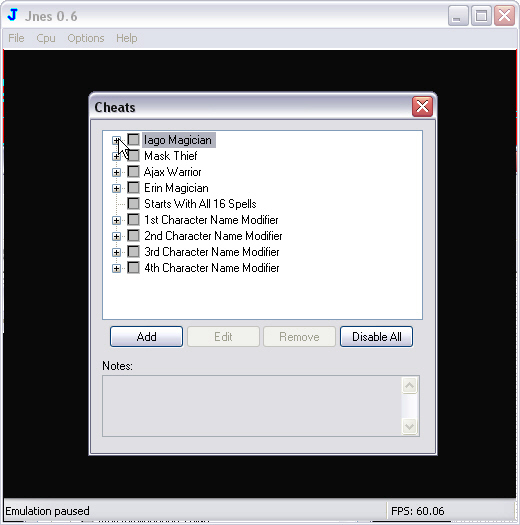 This informs you of the Application and Cheat Database details. This is especially handy when reporting any problems you may have encountered and would allow you to state the version and date of the file you are currently using. 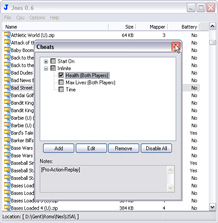 Click the Deleting Cheats link to learn how to Delete cheats.